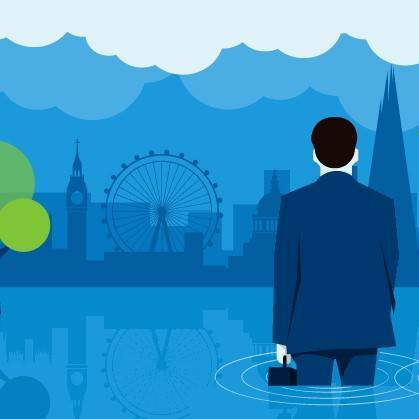 Two-thirds (67 percent) of UK corporations will be disclosing climate change related risks and opportunities in their 2019 annual reporting, according to new figures released by the Carbon Trust. However, fewer than a quarter (23 percent) of companies are expecting to fully report in line with the recommendations of the G20 Financial Stability Board’s Task Force on Climate-related Financial Disclosures (TCFD), released in June 2017. The survey was conducted by Ipsos MORI as part of its annual Captains of Industry research study, based on interviews with 100 board members from the UK’s top 500 companies. The release of these findings comes shortly after the World Economic Forum highlighted extreme weather events and the failure of climate change mitigation and adaptation as the top risk faced by the world in 2019. Looking across a time frame of the next three years, the most commonly expected advantage from climate change disclosure in line with the TCFD recommendations is reputational, with seven in ten (72%) believing that this reporting would increase brand value. Conversely, very few respondents foresee negative impacts from revealing their climate change opportunities and risks, with only a handful predicting this would have any effect on investment or borrowing. Three-fifths (59%) do not identify a single disadvantage that would occur for their company in the short-to-medium term by providing disclosures in line with the TCFD recommendations. It is also of note that despite high profile media coverage of the TCFD recommendations – as well as pledges of support from many of the world’s largest institutional investors, banks and rating agencies – six in ten (62%) corporate leaders say they have not been engaged by any of their important investors or other stakeholders over the past year around improving disclosures on climate-related opportunities and risks.